Robert Graham, 2003. Rodeo Drive, Beverly Hills. Text from the plaque: A gift to the City of Beverly Hills. 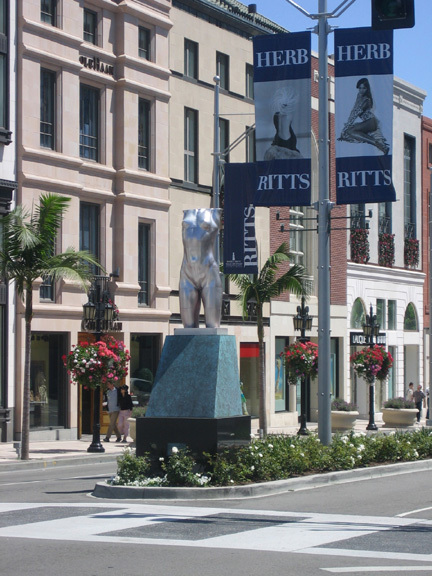 Commissioned by the Rodeo Drive Committee on the inauguration of the Rodeo Drive Walk of Style/Beverly Hills. Honoring legends of fashion and style, June 11, 2003.